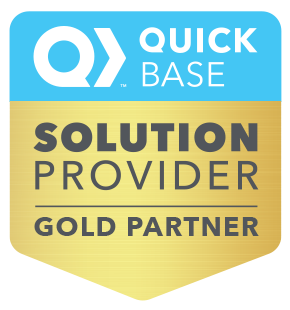 First, understand this: the problem you’re experiencing, whatever it is, is not Quick Base’s fault. Whether it’s a clunky workflow causing the user to use 10 clicks to do something that should take one, or a poorly designed UX that leaves a user at a loss of what they need to do, a problem is only a problem because the app was architected incorrectly. On the flip side of that revelation is: now that you know it’s in the app and not with Quick Base, you can figure out what’s going on so you can build a better application. VeilSun has made this entire process very simple. 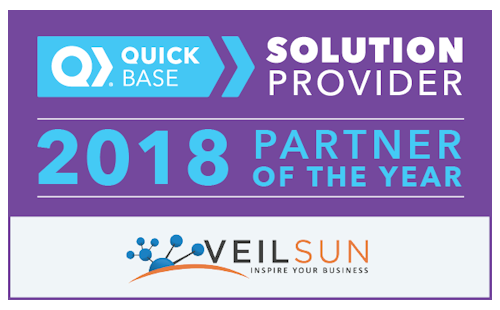 With our 7-point check up, VeilSun’s App CheckUp ensures that your applications run at full performance and are ready to scale as your business grows. Why should I get a Check Up? 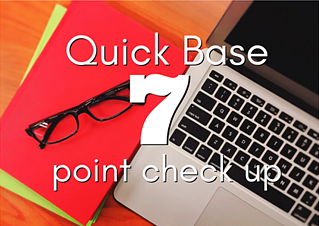 Here’s what our 7-point check up actually entails. As you can see, our check up is thorough and designed to give you complete peace of mind that your app is in good hands. If you’d like to schedule your 7-point check up, go here.